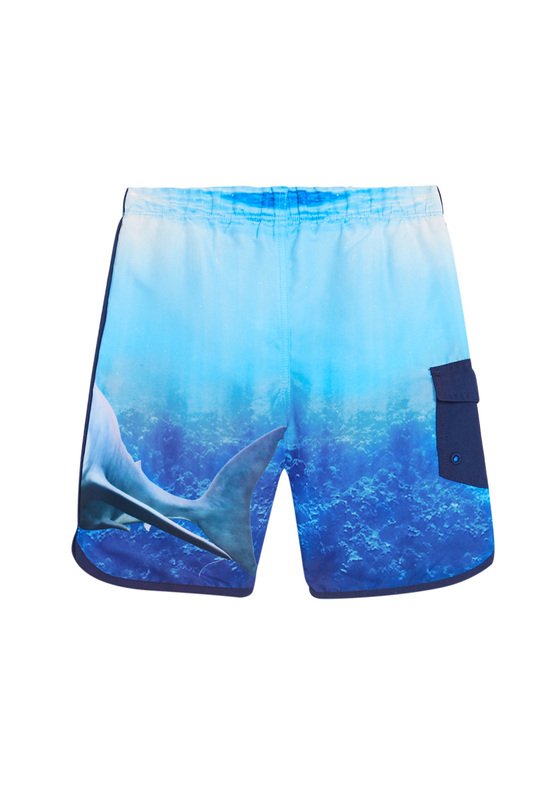 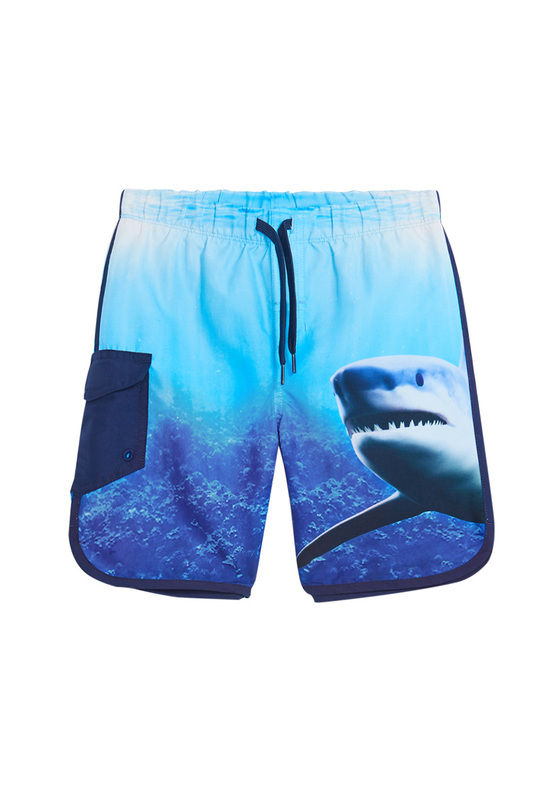 These quick-drying swim shorts are just what he needs for those days at the beach, the pool, or even the playground. Features a photoreal shark graphic that wraps around. 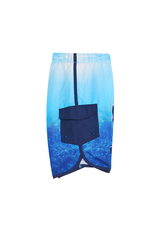 Adjustable waistband, mesh liner, and side pocket.